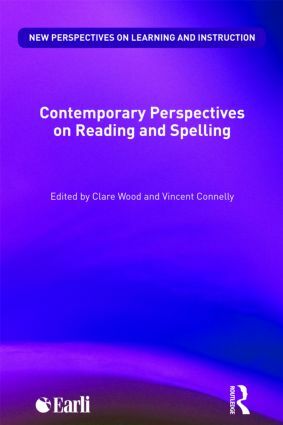 With contributions from leading international researchers, Contemporary Perspectives on Reading and Spelling offers a critique of current thinking on the research literature into reading, reading comprehension and writing. Each paper in this volume provides an account of empirical research that challenges aspects of accepted models and widely accepted theories about reading and spelling. written language difficulties and approaches to teaching. Opening up the existing debates, and incorporating psychological theory and the politics surrounding the teaching and learning of reading and spelling, this edited collection offers some challenging points for reflection about how the discipline of psychology as a whole approaches the study of written language skills. Highlighting ground-breaking new perspectives, this book forms essential reading for all researchers and practitioners with a focus on the development of reading and spelling skills. Auditory processing and developmental dyslexia: throwing the baby out with the bathwater? The acquisition of spelling patterns: early, late or never? How do children and adults conceptualise phoneme–letter relationships? Do bilingual beginning readers activate the grapheme–phoneme correspondences of their two languages when reading in one language? Does the type of reading instruction have an inﬂuence on how readers process print?